3 piece Desert Rose stack. 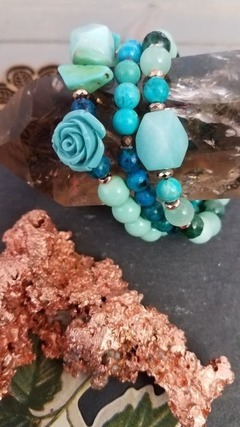 Each stack has a hidden clear crackle quartz to represent a dew drop. 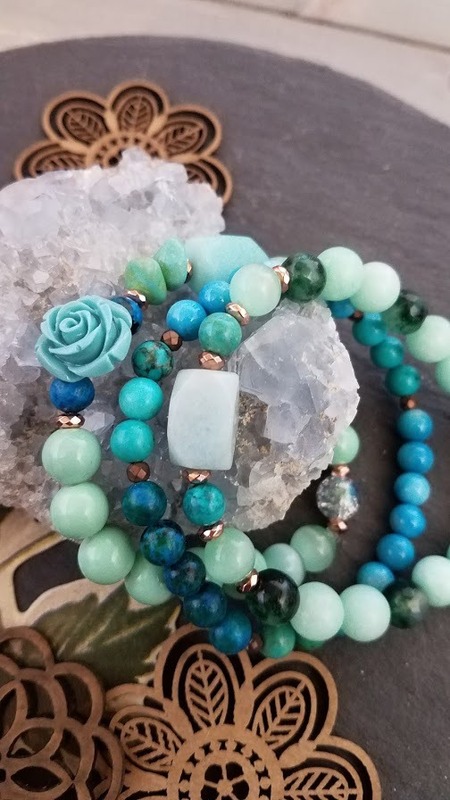 This bracelet set is designed to express all the different phases of our path in life. 7.25" ones size fits most. Please contact me for free size adjustment prior to shipping. 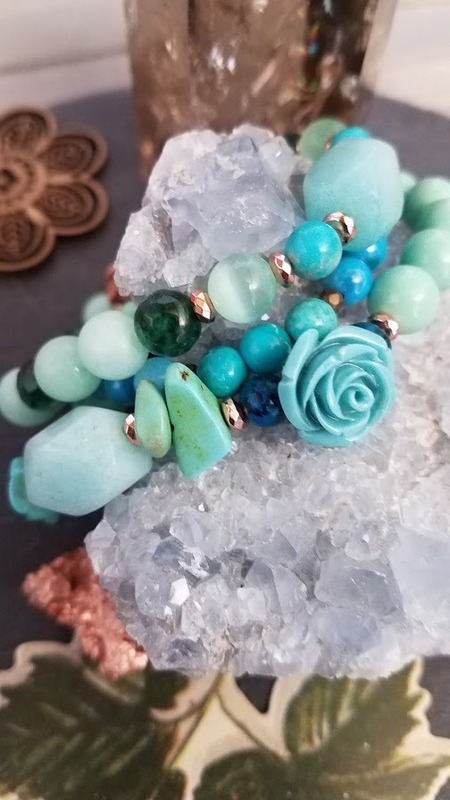 Bracelet set features sea green amazonite, mint cat's eye, natural turquoise chips, resin rose, jade, glass and faceted copper spacers plus and a quartz crackle 'moonlight' dew drop to represent eternal hope.